A champion in England, Spain as well as with Mexico, Leverkusen pulled off a major coup in signing Chicharito in 2015. Back in August 2015, Bayer 04 Leverkusen pulled off the transfer coup of the summer – and arguably the signing of the season – when they brought Javier ‘Chicharito’ Hernandez to the Bundesliga. Chicharito had spent the previous campaign on loan at Real Madrid from English record champions Manchester United, and his time at Old Trafford was coming to an end. Yet how was it that Leverkusen were able to jump to the front of the queue for the signature of a player who had won titles in England and Spain, as well as with Mexico? That owes much to the drive and determination of the club’s sporting manager Jonas Boldt and sporting director Rudi Völler. Boldt, a Bayer fan since childhood, has been involved with the club since 2003, initially working in the youth department and then graduating to scouting. Boldt has become a key liaison figure for Latin American players at Leverkusen, and back in 2015, he wanted to add the most high-profile of names to his list of transfer accomplishments. Völler was on board, as was the then-coach Roger Schmidt and, crucially, Chicharito himself. The Little Pea saw big opportunity at Leverkusen: a chance to play a central role in a young, enterprising and ambitious side. Qualification for the UEFA Champions League play-offs (which the club successfully negotiated with a two-legged win over Lazio) also helped make up his mind. 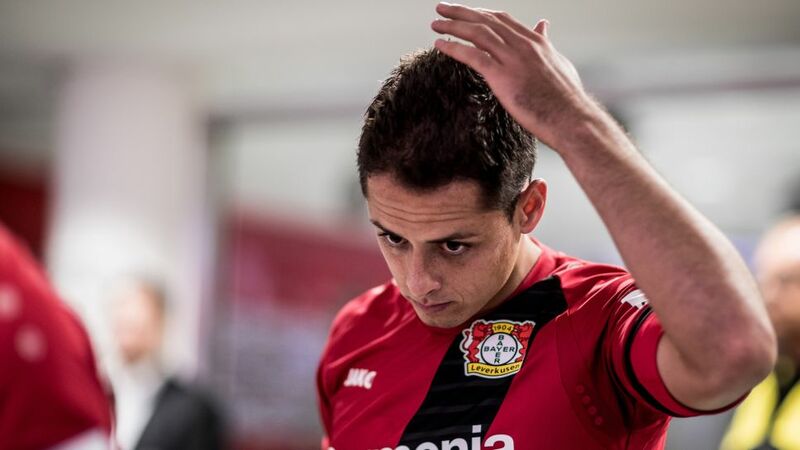 Since arriving in the Rhineland, Chicharito has emerged as one of the most significant signings in recent Bundesliga history, scoring 39 times in 76 outings, including 28 in just 54 Bundesliga games, and bringing a legion of fans from the Mexico and the United States to boot. With him in the side, Leverkusen secured automatic Champions League qualification for the 2016/17 season and reached the knockout rounds of the competition, losing to Atletico Madrid in the last 16. At international level, meanwhile, Chicharito continues to write new pages in the history books, becoming Mexico's all-time leading goalscorer in May 2017. At 28 years of age, Chicharito is entering his prime. Boldt’s steadfast belief in bringing a true superstar to the club has paid handsome dividends indeed.